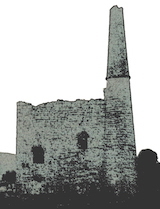 Committed to the study and conservation of old mines in North East Wales. The Grosvenor Caving Club has members over a wide area of UK, though its principal area of interest is among the metal mines of North East Wales where some of their members are among the acknowledged experts, as authors and speakers. Its regular Newsletter is regarded as a ‘Publication of Record’ by archivists. For decades it has had a positive presence in community involvement, winning the County Council Trophy for Conservation in 2015. The Club offers potential members familiarisation and training experience in natural caves as well as the more specialised expertise of exploring old mines. Essential equipment is available to potential members until they decide on their own preferred purchases. Members are encouraged to join the North Wales Cave Rescue Team with which they can undertake further training.